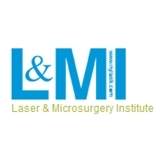 Laser and Microsurgery Institute (New York) - Book Appointment Online! New York Lasik Center is a division of Laser & Microsurgery Institute that specializes in the most advanced eye care currently available in the world. We have offices and or Laser Centers conveniently located in Manhattan, Brooklyn and Queens. Most people select New York Lasik Center for its reputation for providing outstanding surgical outcomes, use of the most advanced technology and its caring committed doctors and staff. I was very happy with the visit. Though Zocdoc had confirmed my appointment when they should not have, the office staff managed to keep my appointment as scheduled. Dr Miller was great, patient, informative. The Doctor was the best! He was very professional and friendly with the children. He had the best interest in my children's health. The atmosphere in the office is very nice, and the staff at the office are very polite and helpful. Dr Minh Vu, have been wonderful. Really great experience and i left very happy and looking forward for the next visit. Thais how good that was.